The German subjunctive is a rather complicated topic in German grammar. “Oh no, why have I opened this page? !” – You might think. But let’s be honest to each other… which part of the German language isn’t complicated? Well, maybe you just have to look at the positive side of the German subjunctive. 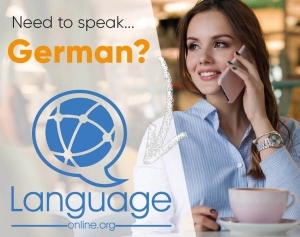 Once you have mastered this topic, you can state that your German is quite superior. Whether you want to express old-fashioned orders or just find a way to express your deepest wishes.. Using the German subjunctive be a useful and helpful tool to polish your German. So, as we have cleared up a little bit the importance of German subjunctive, let’s define what the subjunctive in German actually is. 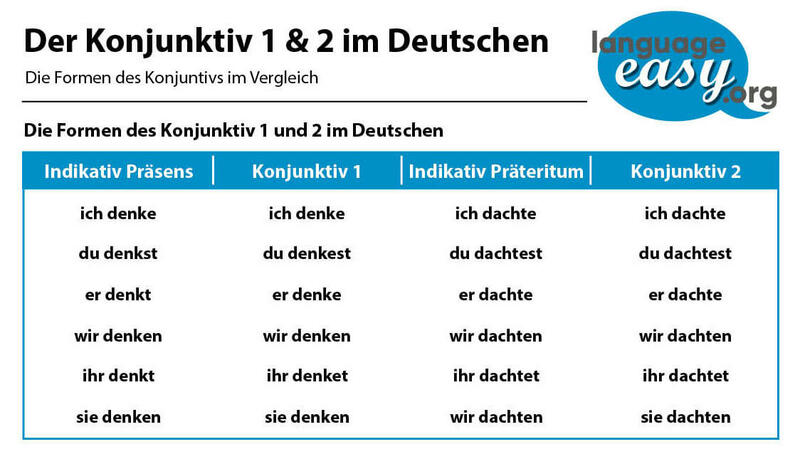 The German subjunctive, in German you call it “Konjunktiv” consists of two parts. First, we have the “Konkinktiv 1” and second, the “Konjunktiv 2”. Well, these two cases of German conjunctive are constructed differently and, of course, also have different meanings. And just to give the mandatory definition of German subjunctive, I was looking for my Cambridge dictionary and found the following. By the way, in case you want to know more about others forms of German verbs, just click on the phrase and you will be redirected to our article about German verbs! Well, as we have cleared up that point, we will have a more detailed look on the two kinds of subjunctives in different tenses. Well, it might seem rather strange to you, but we will start with the Konjunktiv 2. In Germany, this type of subjunctive is far more common used and further more, the ability to create hypothetical situations, express doubt over an idea and wish yourself into anything you want to be. So, I think we should come right to the most important part and talk about subjunctive 2. So, just keep in mind that the subjunctive 2 is used to express doubt, or when something has not yet happened contained within the thought. Furthermore, you can express wishes and desires. So, in order to construct the subjunctive in German you just have to remind of two things. First, think of the adaption of the imperfect and second, think of auxiliary verbs used when forming Konjunktiv 2. So, here are some examples with the most common verbs used for expressing things in conjunctive 2. By the way, all verbs you see conjugated in first person singular. Well, I think you get the idea how to form the subjunctive 2 in German. In case you want to form a simpler version, you can use the subjunctive form of “werden”, conjugate it and use it as an auxiliary verb. So, the second verb in the sentences has the in the infinitive form. Examples would be the following. “Ich würde gehen, wenn ich könnte.” – I would go if I could. Of course, the subjunctive 2 also exists in the past tense. In English, you could compare it to the subjunctive forms like in this sentence: “If I had a lot of money I would travel the world”. So, using “sein” and “haben” in their subjunctive form as the auxiliaries, we simply add the past participle of the verb we want to be expressed in the subjunctive and here we are. – Had I run faster, I would have reached in time. Aaaaaaand it is done! Now, we will come to the forms of subjunctive 1. As I already mentioned, the forms of subjunctive 1 are not used as frequently as the forms of subjunctive 2. Well, the reason is that this type of subjunctive in German is used mainly in indirect speech, in order to maintain distance from a source. Well, let’s come directly to the rules and applications. So, forming the subjunctive 1 is quite easy. You simply use the stem of the present tense forms and add the same endings as above. Here you have the most common verbs conjugated. Well, I’m going to be honest with you. Of course, it is good for your German to learn these forms of German subjunctive. Nevertheless, it is not of high importance as German in general barely use it. Unlike Konjunktiv 2, which has only two, Konjunktiv 2 has four tenses: Present, past, future and future perfect. So, in these latter three, the rule is simple: The auxiliary verb is conjugated in Konjunktiv I. Present: Er sagte, er habe kein Interesse. – He said he isn’t interested. Past: Er sagte, er sei nicht gegangen. – He said he didn’t go. Future: Er sagte, er werde es morgen machen. – He said, he will do it tomorrow. Future Perfect: Er sagte, er werde sich vor Montag entschuldigt haben. – He said he will have apologized before Monday. Finally we have reached the last part of this article where you can proof the German skills you have just learned. In the following you will see some phrases that you should complete with the correct terms. Once you have filled all the gaps, just click on the “correct” button and you can see your errors and the correct results. Good luck and .. auf Wiedersehen!